If Adams and his label want the record to appear on Spotify—or any other streaming on-demand service—there’s really nothing Taylor Swift or her co-songwriter(s) can do about it. Why is that? Because of the so-called “compulsory covers license” and how mechanical rights for musical works function under US law. First, keep in mind that there are two copyrights in a piece of music—the underlying composition or musical work (think notes on paper and lyrics) and the sound recording (think of a performance captured on tape or hard drive). A sound recording embodies a musical work. Every time an underlying composition is reproduced or performed on a recording, it generates a royalty that is paid to songwriters and publishers. 1. The artist covering the song follows the specific instructions laid out by the Copyright Act. 2. The artist distributes the sound recordings to the public “for private use” through old-fashioned retail or an online music services (download or “interactive” streaming sites). In order for Ryan Adams to cover a T-Swift record, he needs to either send a Notice of Intent (NOI) to one of the publishers (if there’s more than one) no less than 30 days before he makes the reproduction of the musical work. In the case of multiple publishers, he only needs to send one notice—the publisher served is responsible for paying the co-publishers (who in turn compensate songwriters under the terms of their contracts, typically 50-50 splits after “recoupable” costs are recovered from advances and the like). All Adams needs to do is make sure that the NOI complies with the letter of the law in terms of the basic information required for the license. If he can’t find any of the publishers after a reasonable search, he can send the notice to the US Copyright Office who will post the NOI so the publisher(s) can track down payment should they come forward. As to Spotify, they can avail themselves of the same basic process. It may very well be that Spotify already has the licenses it needs to feature songs from 1989 (not the sound recording) on their service. After all, they’d need these licenses if Taylor ever decides to make her recording available on the service, and there are no doubt other artists who have already covered songs from the album and made those performances available on Spotify. The compulsory license for mechanicals has been in the spotlight lately, as some publishers and songwriters believe that the government-set rate does not accurately reflect the market value of a composition. There may be something to this, but rather than eliminate the compulsory, we support ideas like the Songwriter Equity Act, which would allow the government rate-setting body to consider evidence from sound recordings in proceedings for musical works. There’s also the social good of artists being able to easily obtain licenses to perform and record songs written by others. After all, what would the world be like if Patsy Cline had never recorded “Crazy” by Willie Nelson? The musical works compulsory also benefits labels, who can choose to use the NOI or directly negotiate terms with publishers, depending on their business needs. This helps them get music out into the world more quickly and efficiently, and means that publishers and songwriters are paid for these reproductions and distributions. 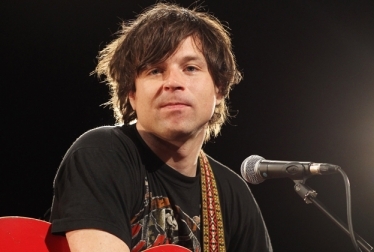 We’re actually pretty psyched to hear Ryan Adams’ take on T-Swift’s album. We hope Taylor digs it, too!